Veteran College Administrator, Dr. Christopher Lewis releases his second publication, “The Ultimate College Preparation Blueprint: Everything You Should Expect and Do When Planning For College.” The book takes 15 years of college admissions experience and provides practical tips for students preparing for the college search process. “As a high school counselor I see many students struggling to make the right decisions on classes and extracurricular activities that will benefit them with college acceptance,” said High School Counselor Felicia Carter, MAEd, NCC. “Dr. Lewis has done an excellent job in giving students a resource for college preparation that is practical, easy to read and and follows a logical process. I feel like every high school freshman and his or her parents could benefit from this book.” The book is set up in such a way that anyone can pick it up and be on the road toward college acceptance in no time. Full of checklists and assessments, the book will not only provide practical tips, but it also provides the reader with ways in which they can better understand what they are looking for in a college. “Too often students and parents struggle with the college search process and make many mistakes along the way that could be easily avoided,” said Dr. Lewis, Director of Enrollment Programs and Student Services for the Thomas M. Cooley Law School. 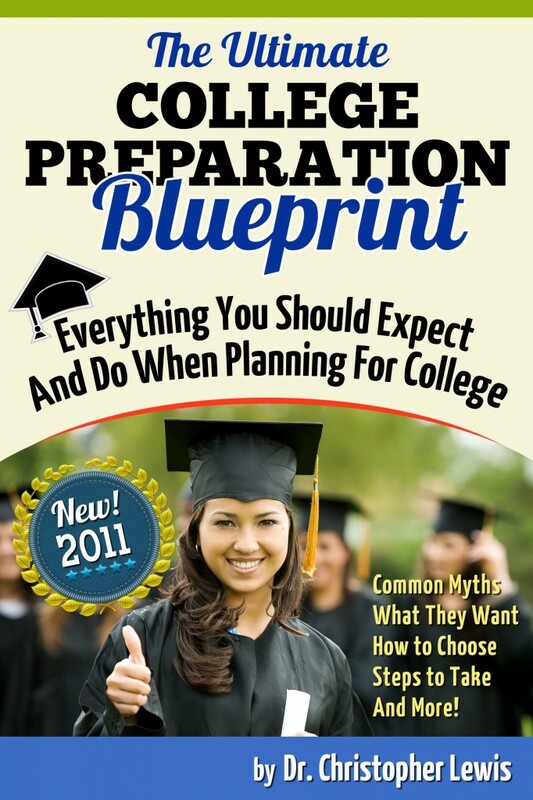 “I have taken the essentials that everyone needs to know to be admitted into any college and have made this a guide that students can pick up and use right away.” “The Ultimate College Preparation Blueprint: Everything You Should Expect and Do When Planning For College” is available in print or for Kindle readers in the following locations: Createspace: $15.99 - https://www.createspace.com/3500296 Kindle: $4.92 - http://www.amazon.com/dp/B007RZC20W About Dr. Christopher Lewis Dr. Christopher Lewis has worked in college administration since 1997 from Community College to Undergraduate Institutions, to Graduation & Professional Programs. Through all of his roles he has acted as an advocate for the prospective and current student. He has many years of experience advising students both in high school and college to make informed decisions about their future. 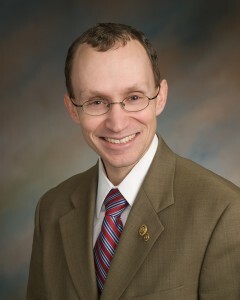 Dr. Lewis began his career working as a College and Career Center Counselor in a public high school. He continued his professional experience working as an Admissions Officer for two Regional Comprehensive Undergraduate institutions in the Midwest. He also served as the Chief Student Affairs Officer for a two-year Public Institution in the Midwest, where he acted as the Admissions Director along with coordinating all other student service functions. Dr. Lewis currently resides and works in Michigan where he continues to work in college administration for the Thomas M. Cooley Law School where he acts as the Director of Student Services and Enrollment Programs. He received his Bachelor of Arts in Organizational Communication from Western Michigan University in 1997, his Master of Science in College Student Personnel Administration from Miami University in 1999, and his Doctorate in Educational Leadership from Eastern Michigan University in 2006. Dr. Lewis is married with two children and he hopes that this guide will act as a conduit for many students to find their way to a productive and happy collegiate experience in the future. He is also the Owner of the website http://www.dadofdivas.com. With a son about to embark on high school, I can't wait to get my hands on this book. Information and preparation is the best road map to parenting. Thank you, Dad of Divas!